Christian Thielemann conducts the Staatskapelle Dresden. Beethoven: Violin Concerto. Reger: Variations and Fugue on a Theme by Mozart. Strauss: Till Eulenspiegels lustige Streiche. The Staatskapelle Dresden, chief conductor Christian Thielemann and violinist Nikolaj Znaider perform Beethoven, Reger and Strauss's tone poem 'Till Eulenspiegel'. 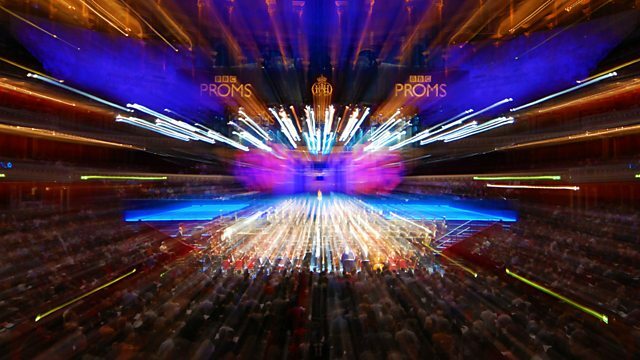 Tom Service talks to the German conductor Christian Thielemann, Principal Conductor of the Dresden Staatskapelle in an edited version of an interview first broadcast on Music Matters in 2014. The Staatskapelle Dresden and its Chief Conductor Christian Thielemann open their second Prom with Beethoven's most radiant, smiling work, his sublime Violin Concerto, in the sure hands of Nikolaj Znaider. After the interval this famously rich-toned orchestra digs into Max Reger's affectionate and beautifully orchestrated Variations and Fugue on a Theme by Mozart and finally Richard Strauss's witty and abrasive depiction of an impish figure from German folklore, his outlandish tone-poem telling of 'Till Eulenspiegel's merry pranks'. Performer: Nikolaj Znaider. Conductor: Christian Thielemann. Orchestra: Staatskapelle Dresden. Performer: David Fray. Performer: Jacques Rouvier.